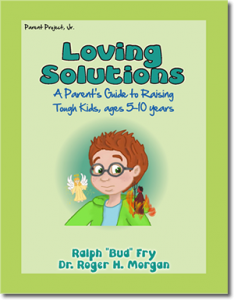 Loving Solutions is for parents and other caregivers of strong-willed or challenging children ages 5-10 year olds. The class helps parents determine what issues are negotiable, using time-outs effectively to gain substantial behavior change, how to get children to cooperate with household chores, to get along better with siblings, and improving school success. Information is also provided for the parent of children diagnosed with ADD/ADHD. Classes meet for 10 weeks. Locations vary. Pre-registration required. Register below or call 540-942-6757. Anyone is welcome to enroll in Loving Solutions. Referrals are also accepted through FAPT, Valley Community Services Board, court services, school guidance counselors, therapists, preschool directors, pediatricians and family doctors. Fees is $100/family; however all class can be offered on a sliding scale. Cost includes your book, snacks, and childcare.